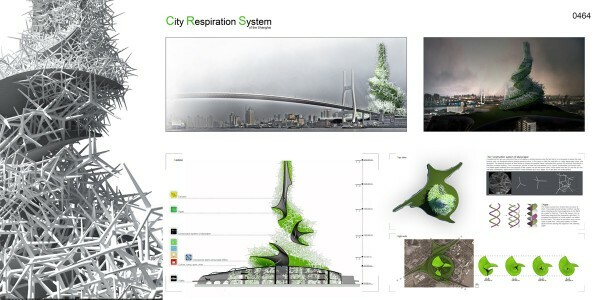 The ‘City Respiration Skyscraper’ designed by Czech architects Pavlína Doležalová and Jan Smékal is a helicoidal 240 meter-high structure designed to clean the air of the most polluted cities worldwide. 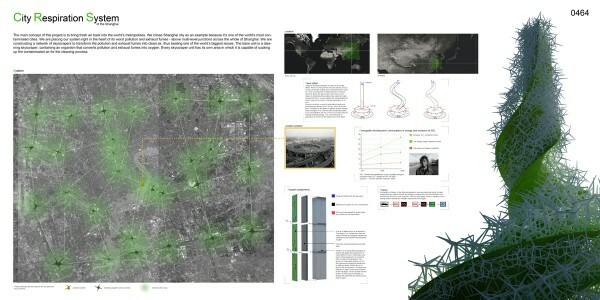 Its primary structure is a concrete ribbon covered by air-cleaning algae. The outer cellular structure is a three-dimensional cluster of individual concrete three-spike units inspired by sea sponges. 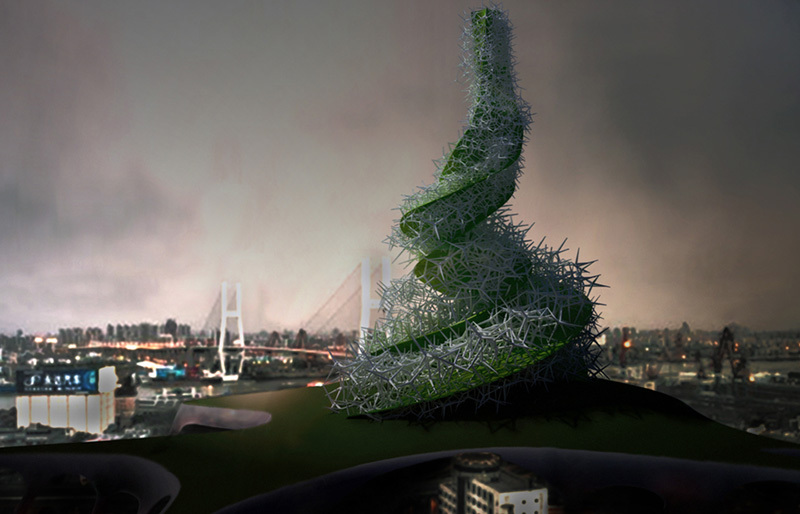 This helicoidal structure acts as a chimney where warm and polluted air is captured at the bottom and filtered and oxygenated by the algae and a specialized water-sprayed system. A network of these skyscrapers strategically placed in the most polluted areas could clean a city in a couple of weeks.